Nowadays, the word “Donbas” for plethora people – is another hot spot on the world map. For me, Donbas – is my home land, where I was born and brought up, the place, where I started my career. It is the motherland where Klymenko’s family originated from. Today, my home is on fire. The undeclared war lasts for over of three years. Cities, roads and business are destroyed. Tens of thousands of civilians are killed and injured. Millions of destinies are broken. Confidence in future is lost. Donbas is expected for an unenviable fate: conflict, which will be frozen for decades, “gray zone”, permanent hotspot. Millions of our fellow citizens, ordinary peaceful Ukrainians, have become hostages of this situation. 3,5 million people still remain in the military area. Nearly 2 million people have become IDPs. None of them knows what will happen tomorrow. The rest of dozens of millions of Ukrainians also do not know it. I can not observe this situation without pain. Moreover, I can not remain indifferent. That’s why I decided to create the initiative “Restoring Donbas”. It was made in order to form systemic plan of resolving the problems of region’s residents and IDPs with the help of experts and concerned citizens, to implement the solutions systematically, moving towards the peace step by step. We have to give Donbas the future. I believe that we, Ukrainians, will overcome all the contradictions and move towards the peaceful development. My goal – is peaceful, prosperous Donbas and united, successful Ukraine. 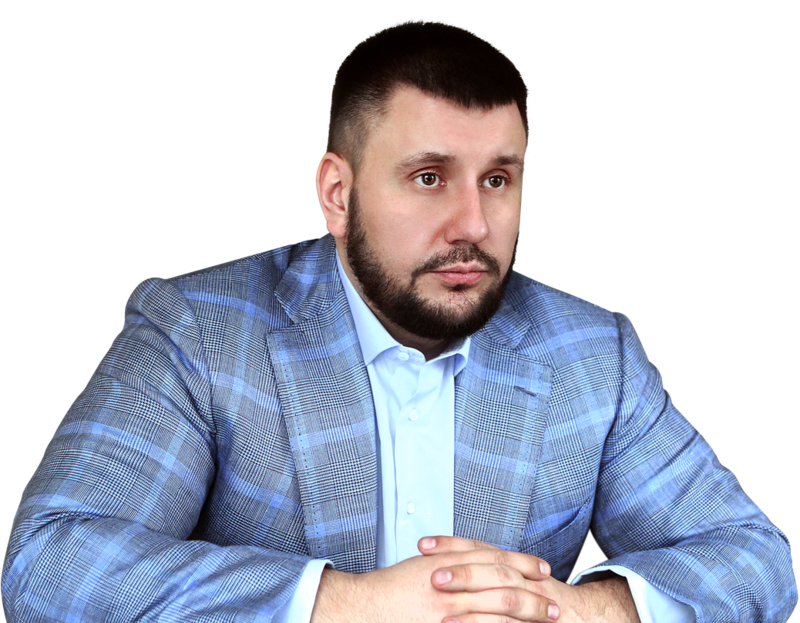 Public Initiative “Restoring Donbas” was founded by Oleksandr Klymenko in October 2014 in order to bring together thinking and concerned people for a joint search for ways to restore the region and to assist in overcoming their problems to its residents – both, those remaining in the ATO area, and IDPs. Volunteers of the initiative in conjunction with Ukrainian and international experts, representatives of business, non-governmental organizations are working on the programs of region development and on issues of protection of rights of its citizens; they are providing assistance to people forced to leave their homes and to those, who decided to stay in the region. More than 60 thousand people have joined it during less than one year of existence of the initiative. One of the key directions of work of the organization – is mutual assistance and support of those who need it. Anyone can provide assistance and/or make a request for support via the “Virtual offices of mutual asistance”, services of finding housing and work that are available on the initiative’s website restoring-donbass.com, as well as to join volunteers at the Center for counseling of immigrants, which was opened in Kyiv on the 31st of July. There IDPs can obtain all the required assistance in the context of social issues, informational services, legal and psychological consulting. Free legal assistance for all, who need it, can also be obtained through the “hot” telephone line and on-line consulting on the website. Due to active participation of volunteer-lawyers, more than 13 thousand people were able to get such counseling during last two months. Another important field of work of the initiative – is control over the work of public authorities, dealing with IDPs and issues related to the region’s restoration. On August 11, 2015 experts of the initiative “Restoring Donbas” have introduced a special monitoring project “Power efficiency in resolving problems of Donbas residents and IDPs”. The main aim of this survey – is to ensure transparent and effective public control over the work of the authorities in resolving the problems of IDPs and Donbas residents. Initiative “Restoring Donbas” pays particular attention to psychological support of children, including children from orphanages, who have been taken out or have remained in the region. A drawing contest “Peace and war through the eyes of Donbas children has been organized and held for them in order to reveal deep psychological problems through drawings and to overcome it.